Attention for marine life broadens. Also "non-fish" get the attention and also species of tropical areas get collected and researched. An English ornothologist and ichthyologist. At first he was a student of John Ray, sometimes referred to as the father of English natural history. Later he became a collegue and they decided to ake a systematic description of the whole of the organic world. 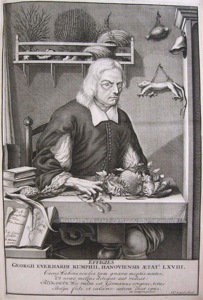 Willughby would cover birds and fishes but he died to young to accomplish his books. 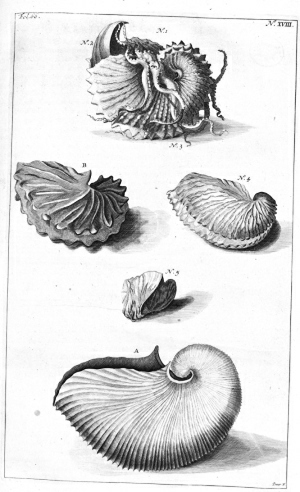 Willughby started this work on ichthyology, after he died John Ray finished it. Describes and classifies marine fishes collected in fishing ports of England and markets in Belgium, Germany, Italy and France as well as British freshwater fishes. Also contains lists of tropical fishes. The "blind seer of Ambon". 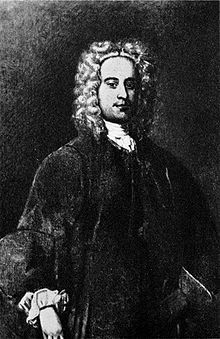 He was employed by the Dutch East India Company and spent the greater part of his life on the island of Ambon in what is nowadays Indonesia. 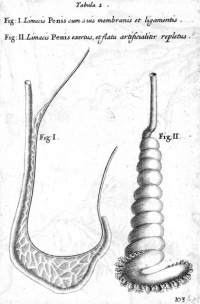 He became a brilliant field naturalist and made very good illustrations. Much of his work got burned or disappeared in the sea, at the age of 42 he became blind and he lost his wife and a daughter in an earthquake but this did not stop him as a naturalist. First work on tropical marine biology ever, on life at sea around Ambon en the geology of the island. 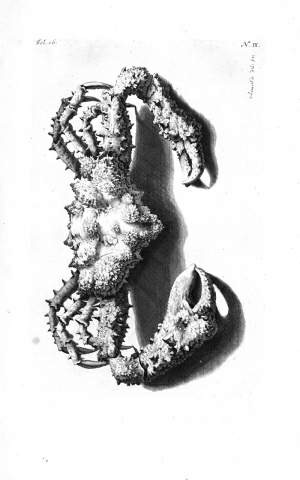 Divided in three books, the first on decapods, sea urchins and sea stars, the second on molluscs and the third on minerals. The ecological observations made in this work were far ahead of his time. Since most of Rumphius´ drawings never arrived, the publishers commissioned Maria Sybilla Merian to draw them. Georgius Everhardus Rumphius: The Ambonese Curiosity Cabinet. 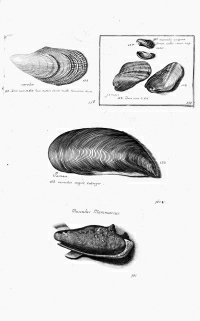 (D'Amboinsche Rariteitkamer) Translated and annotated by E.M. Beekman. Yale University Press,567 p.p. 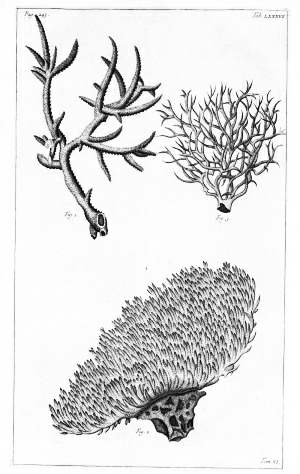 Work on plants of Ambon, book 12 (pages 193-256) describes marine trees (corals, sponges and coconuts). 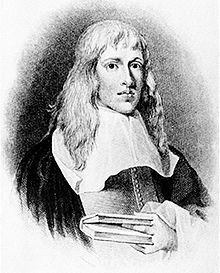 English naturalist and physician who contributed numerous articles on natural history, medicine and antiquities to the Philosophical Transactions. After the physician and great collector Hans Sloane returned from Jamaica, his friend Martin Lister included his shells with his own in this extensive work. 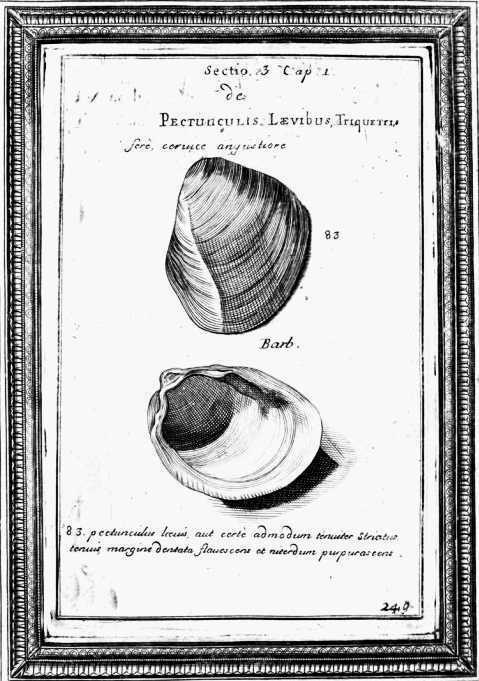 This book, which was beautifully engraved by his daughters, was an important work in promoting the study of shells (conchology) as an activity that could lead to an understanding of nature.